John T. Troemel, 74, a resident of Grayslake, passed away Wednesday January 28, 2015 at Northwestern Hospital surrounded by his family. He was born September 5, 1940 in Chicago to Clarence and Catherine Troemel. John spent his working career as a maintenance supervisor working for both Sara Lee and Underwriters Laboratory. John is survived by his wife of 52 years, Judi, his children John Thomas (Chris) Troemel, Jeff (Dana) Troemel, and Amy (Bryon) Johnson, his grandchildren Nicole and Tommy Troemel and Emily and Shelby Johnson, and his siblings Tom Troemel and Betty Oechsle. He was preceded in death by his parents, his brother Jimmy, and his baby girl Mary. Friends of the family may visit on Friday, February 6, 2015 from 5:00 p.m. to 9:00 p.m. at Strang Funeral Chapel & Crematorium, 410 East Belvidere Road, Grayslake, IL 60030. A funeral mass is scheduled for Saturday February 7, 2015 at 10:00am in the small chapel at St. Gilbert Catholic Church 301 E. Belvidere Rd. Grayslake, IL. Interment will be held privately. Memorial donations may be made to the American Lung Association. For information, please call 847-223-8122 or visit www.strangfuneral.org. Teddy J. Beres, 85, a resident of Round Lake Park, passed away Friday January 23, 2015 in Kankakee, IL. He was born July 18, 1929 in Chicago, IL to Anthony and Mary Beres. Teddy was a veteran of the Korean War having served with the US Army. He worked for many years as a skilled cabinetmaker. Teddy is survived by his children Laura (Nicholas) Avello and Joseph (Jodi) Beres, his grandchildren Michael (Annie) Avello, Jennifer Avello, Stephanie (Greg) Brefeld, Danielle Beres, and Joey Beres, his great-grandchild Tenley Brefeld, and his sisters Theresa Kostner and Adele Cooper. He was preceded in death by his parents, his wife Celina, his 2 brothers, and his 4 sisters. A visitation is scheduled for Tuesday January 27, 2015 from 4:00pm until 7:00 p.m. at Strang Funeral Chapel, 410 E. Belvidere Rd., Grayslake, IL 60030. Interment will be held privately. For more information please log onto www.strangfuneral.org or contact (847)223-8122. Thomas R. Stanton, 69, resident of Chicago and Round Lake, passed away Wednesday, January 21, 2015 at Advocate Medical Center, Libertyville. He was born June 22, 1945 in Chicago to Robert and Lois Stanton. Thomas was a member of the American Legion, Post 1170, Round Lake and a US Army veteran having served in Vietnam. He enjoyed sports, music, traveling and being with family and friends. Thomas is survived by his wife, Eileen, whom he married on August 31, 1984, his siblings, Patricia (Kevin) Newman, Michael (Val) Stanton, Donna Stanton, and his nieces and nephews, Maureen Newman, Kevin Newman, Elizabeth Newman. A memorial celebration will be held at a later date. Memorials may be made to Avon Community Food Pantry, 433 E Washington St., Round Lake, IL 60073. All funeral arrangements were entrusted to Strang Funeral Chapel and Crematorium, 410 E Belvidere Rd, Grayslake, IL 60030. For information, 847-223-8122 or www.strangfuneral.org. 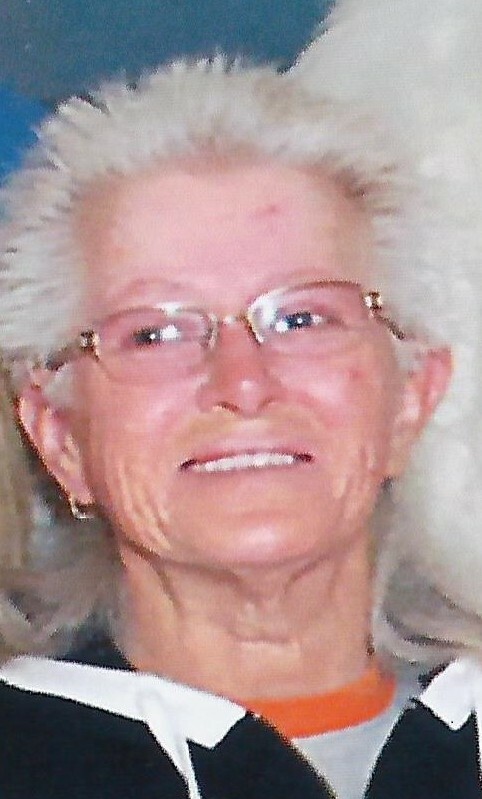 Patricia Udelle (nee Anderson) 77, a resident of Grayslake passed away in her home on Wednesday, January 21, 2015. She was born in Chicago to Edward and Eleanor Anderson on April 17, 1937. She is survived by her children: Edward (Lori) Udelle, James (Theresa) Udelle, and Kimberly (William) Tunberg; grandchildren: Amber Udelle, Matthew, and Michael Tunberg. She was preceded in death by her sister Cynthia Reimers. After raising her children, Patricia re-entered the workforce to help run a technology family business with her former husband, Conrad, in Mundelein, IL. She was “mom” to all the employees there and everyone was considered family. She was an avid animal lover and was a member of the Central States Collie Club and showed collies for many years. She loved travel, especially trips to Florida annually with her grandchildren. She loved watching NASCAR with family while rooting on her favorite driver, Jeff Gordon. Visitation is scheduled on Sunday, January 25th, 2015 from 4 to 8 PM at Strang Funeral Chapel, 410 E. Belvidere Rd. Grayslake, IL 60030. Funeral service will be held on Monday, January, 26th, 2015 at 10:30 also at Strang Funeral Chapel. Interment will follow at Avon Centre Cemetery. Memorials contributions in her name may be made to the Leukemia and Lymphoma Society or to Collie Rescue of Illinois. For information, please call 847-223-8122 or log on to www.strangfuneral.org. 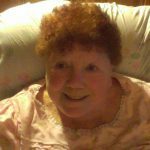 Christine Bishop, age 83, of Georgetown, TX, formerly of Round Lake Beach, IL passed away on January 16, 2015. She was born November 14, 1931 in Port Huron, Michigan to Charles and Rosetta (Bealer) Riddle. She is survived by daughters: Linda Silva and husband Chuck, Catherine Maynard, Janice Chlopek and husband Joseph; and Fred Stucker and Alice Stucker Keto, who were as precious to her as her own children; grandchildren: Jacquelyn and Jason Hare, Jamieson and Lindsey Hoffman, Lloyd and Claire Sirota, Sarah Burchett, Lisa Giebitz, Jillian Guerra; great grandchildren: Issac Giebitz, Camden Hoffman, and Jenna Marsoobian; and brother and sister-in-law, Jerry and Caroline Riddle, sister-in-law Mary Riddle and numerous nephews, nieces, grand-nephews and grand-nieces. She was preceded in death by her parents, Charles and Rosetta Riddle, her brothers Leslie Riddle and Charles Riddle, and spouses Wilbert Maynard and Howard Polkey. In lieu of flowers, donations may be made to the Wesleyan at Scenic. Visitation will be Friday, January 23rd from 4pm to 8 pm at Strang Funeral Chapel & Crematorium 410 E. Belvidere Rd. Grayslake IL. The funeral service will be Saturday, January 24th at 10am at Calvary Presbyterian Church 510 N. Cedar Lake Rd. Round Lake, IL. Interment will follow at Highland Memorial Park in Libertyville, IL. For more information please log onto www.strangfuneral.org or contact (847)223-8122. Judith M. Kuzma, 67, passed away Friday January 9, 2015. She is survived by her life partner Paula L. Toay of 32 years along with her dear friend Linda Sobczak of 36 years; her niece Sharon (Brian) Barbick, nephew Eric (Linda Buckingham) Grimes, both families of Dallas, Georgia. (Her list of friends are too many to list). Preceded in death by her parents John and Ruth Kuzma, siblings Sylvia Grimes, Johnny Kuzma, and Jimmy Kuzma. Judy loved life to its fullest. She loved her motorcycle (always hoping one day she would wake up to find it turned into a Harley), loved to fish (if a puddle had a foot of water she would throw in the fishing line), and her attention to detail may have been frustrating (there are still projects waiting because she was a perfectionist although most would label it as procrastination), but all kidding aside she was proud of her work and that is all that mattered. Most importantly she NEVER ceased in spreading God’s love. As a manager in retail, her customers might walk in grumpy but she made sure they would leave on a happier note. It only took one introduction for her to have made an impression that would last forever. Judy you are going to be missed so much. We will never forget you, you are etched in our hearts for eternity. It will weigh on our hearts heavily but by God’s grace we will carry on. In lieu of flowers, her favorite charity was the Children’s Miracle Network. A memorial will be planned for sometime in May. We ask that you check back periodically as we get closer for further details. Bettie M. Svitanek, nee Andrade, passed away peacefully at home in Round Lake Beach, IL, on January 10, 2015. To those who knew Bettie, she was very social and friendly. She was the hostess of many special gatherings and dinners at her house as she was an excellent cook. Along with her culinary skills, she enjoyed food such as welsh rarebit, mock chicken legs, and especially, lobster tail and prime rib. Bettie also loved people! 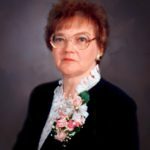 She always talked fondly of her cherished longtime neighbors in the community where she lived for over 60 years, her fun loving friends from the bowling league at Lakes Bowl, and her cherished associates/friends from Ammco Tools. She loved all kinds of animals, but she led a special crusade to feed and look after feral cats in the neighborhood. Buddy, a shiny black cat with yellow eyes, was a motivating force behind Bettie’s happiness and resilience. Bettie was known to be an advocate for Spay and Stay where she met friends Sandy and Linda as well as a contributor to Save a Pet, both animal rescue organizations located in Grayslake. At times, she was a volunteer for Save a Pet and contributed her craft work for their fundraising efforts. She was a loving wife, mother, sister, aunt, grandmother, and great-grandmother. 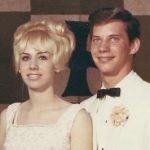 Bettie had 25 delightful years of marriage to an adoring husband who she shared trips, dinners, indoor cats, and fishing with, both on the Chain of Lakes and on Lake Michigan. Christmas was one of their favorite shared holidays. We, too, always enjoyed her Christmas dinners out to a special restaurant with money saved in a special fund throughout the year. Family was so very important to her. Bettie was known to video record with narration her grandchildren’s birthday and holiday parties. She would be a number one fan at their soccer games and music concerts. Additionally, she crocheted many baby blankets and afghans for family members. She was always there for her children with encouragement, kindness, and love. She would exchange video recordings with Cheryl at holidays and exchange audio cassettes with Tom when he was stationed in Korea to let him know she was thinking of him. She was a painter, singer, guitarist, and keyboardist. She and her brother Edward shared their talents in keyboards. They had a gift of music. Often we would hear Bettie play songs like America’s “A Horse With No Name” and many others. Bettie is survived by a daughter, Cheryl Contri of Brunswick, Ohio; a son Thomas (Kathleen) Contri of Spring Grove, Illinois; four grandchildren, Benjamin Contri of Waukegan, Illinois, Stephanie (Rob) Hagele of Brunswick, Ohio, Anthony Contri of Chicago, Illinois, and Carly Contri of Chicago, Illinois; two great-grandchildren, Giselle and Gabby; special niece Debbie Wells; great-nephew, Chris Johnson; and former daughter-in-law and friend, Sherry Walleck. She was preceded in death by her husband, John, in 2002; her parents; brother, Edward and sister-in-law, Delores. Jane Peterka, 92, a resident of Grayslake, passed away Friday January 9, 2015, in Libertyville, IL. She was born October 28, 1922 in Chicago, IL. Jane is the cherished mother of James (Stephanie) Peterka, Don (Yvonne) Peterka , Glenn (Laura) Peterka, beloved Grandmother of James (Elizabeth) Peterka, Kelsey Peterka, Corey Peterka, loving Great Grandmother “GG” of Anne and Olivia Peterka. A visitation is scheduled for Sunday January 11, 2015 from 4:00pm until 7:00pm at Strang Funeral Chapel & Crematorium 410 E. Belvidere Rd. Grayslake, IL 60030. A funeral is scheduled for Monday January 12, 2015 at 10:30am at the funeral chapel. The interment will be held at Maryhill Cemetery in Niles, IL. For more information please log onto www.strangfuneral.org or call (847)223-8122.